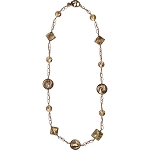 Strung with handmade Venetian seed beads and featuring two Venetian beads for the drops, this stylish necklace will make the perfect statement with virtually any outfit. 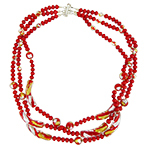 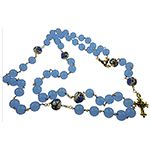 The necklace is approximately 18 inches and has a 3 1/2 inch drop with 12mm and 25mm Venetian beads. 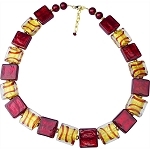 Gold-tone lobster claw clasp and accented with matching crystals and rondels. 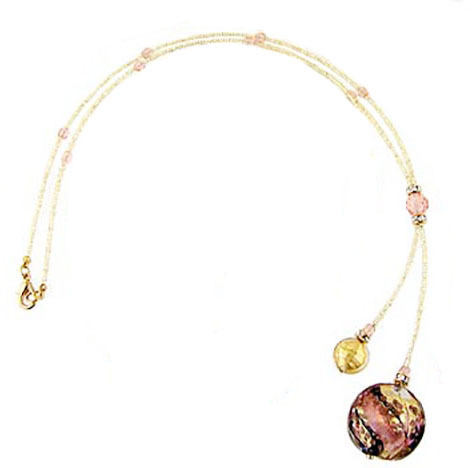 The colors are swirls of pink and black.